We often think of caves as a dark and creepy setting. After all, it’s underground, it’s easy to get lost in them, and there can be unexpected surprises like bats or bears. Why would you want to spend time in a cave? Although, what if someone told you that spending time in a cave can actually improve your health immensely. A salt cave, to be specific. For speleotherapy to work, you only have to do one thing: breathe. The trillions of salt particles in the cave will do the rest. The particles will travel deep into the lungs, cleansing the respiratory system. Mucus will be more easily expelled, inflammation in the airways decreases, and the airways become clearer. This helps your lungs become as efficient as possible in exchanging air flow and will make them work to their maximum potential. Speleotherapy doesn’t just help respiratory illnesses, it positively impacts your skin and sleep as well. When the salt is being drawn into the respiratory system, it increases the oxygen levels in the circulatory system when the blood is going around the body. By doing a deep cleanse throughout the body, redness or dry skin will be less common. Salt also has anti-inflammatory elements to it, making problems such as acne and zits become more reduced at a faster rate. The more spelotherapy is done, the more cleansed the skin is. As for sleeping purposes, salt contains negative ions in it. Negative ions have a calming effect on the body and help it to relax. With the combination of clear and steady breathing, along with the body being relaxed, it makes it extremely easy to fall asleep. This treatment is opted over other treatments because it is completely natural. Without any use of drugs, there are no side effects. This makes speleotherapy a safer option, especially for pregnant women and young children, whose immune systems are easily compromised at that delicate stage in life. With the immune system very delicate, and unsure of what medication is safe to take, spelotherapy is the perfect option. Another great perk is that speleotherapy strengthens the immune system. Salt inhibits the growth of bacteria, making it extremely hard for viruses and infections to invade the body and get you sick. You’ll find yourself getting fewer colds since your body has become so strong due to the constant exposure to salt therapy. How to use salt therapy at home? Unfortunately, not many have the luxury of partaking in speleotherapy. 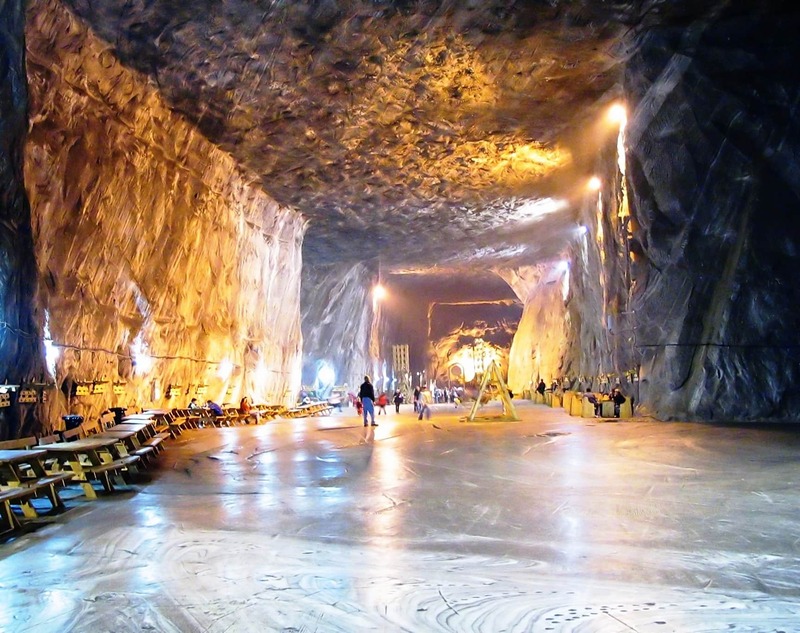 There are many salt caves in Europe, but not nearly as many in North America. Trips to a salt cave can be costly, especially if you decide to fly over or do a long road trip. That requires time off, a lot of money spent, and sometimes trips take up more energy than they do replenishing it. The main problem being there aren’t many salt caves over here, spas have begun treatments in which they imitate the effect of a salt cave in a salt room or salt spa. They use salt from rock salt blocks cut and imported from salt mines from Europe or Pakistan. They claim that “by strictly controlling the temperature and humidity it is possible to create a hypo-bacterial and allergen-free air environment”. The results are easily seen after few salt room sessions but multiple sessions are necessary in a chronic respiratory problem. You can even try ‘speleotherapy’ at home as well! Thanks to technology, there are salt machines that can imitate the effects of a salt cave right in your own home. 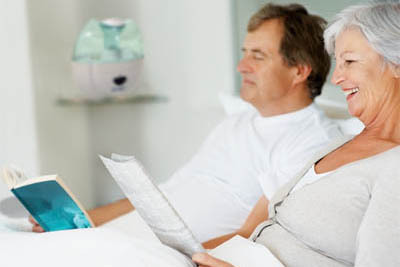 A salt therapy device is small, so it can go on night stand or in a small corner of the room. It’s also very cost effective. Once the machine is purchased, all you need to do is replenish the salt. Salt therapy is just one small step to starting your new and improved healthy lifestyle. With no hidden side effects, the non-invasiveness, and accessible for all ages, this treatment will leave you in awe. No matter how wondrous the new discoveries in the pharmaceutical industry can be, sometimes it’s better to go the natural way, where you know what’s going into your body.